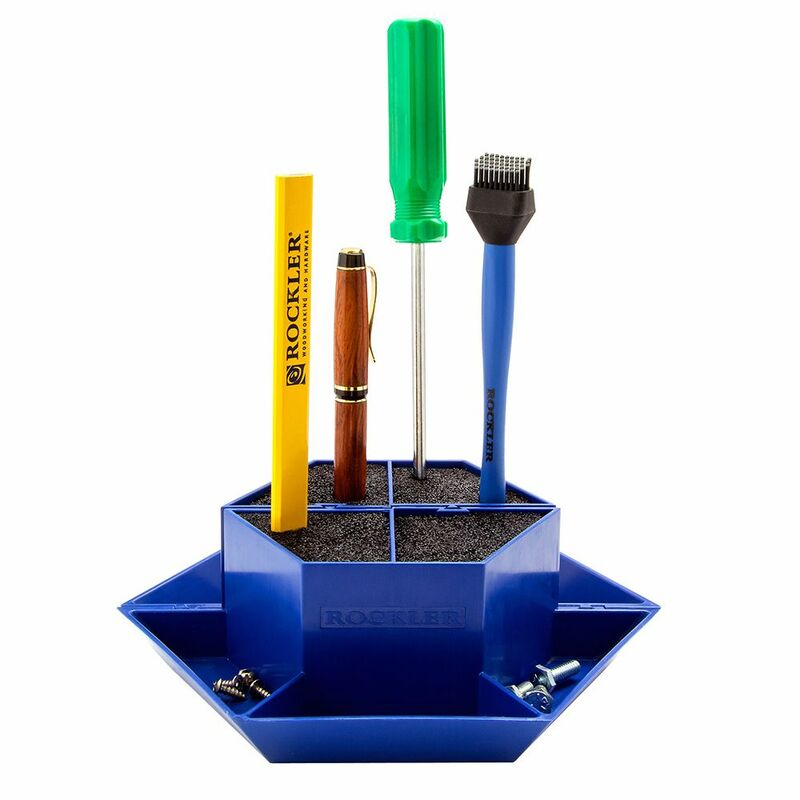 Two compartments with densely packed bristles hold pencils, screwdrivers, drill bits and jigsaw blades neatly upright, while three open trays keep hardware easily accessible. Use the built-in dovetail tracks to join two Shop Blocks for double the storage! 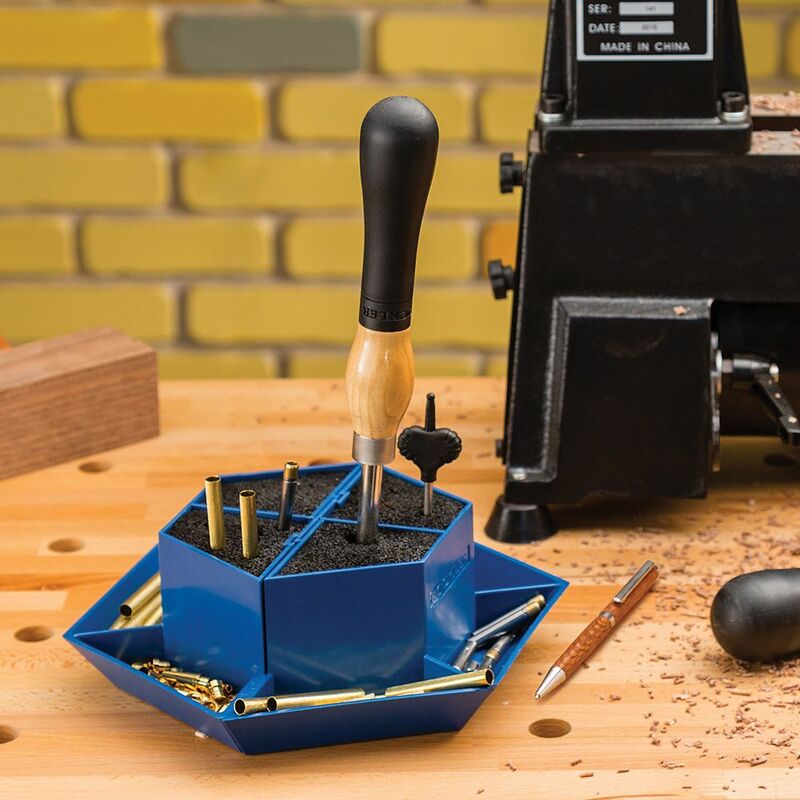 This handy little half-hexagon will store more tools and hardware than its compact size would seem to allow. 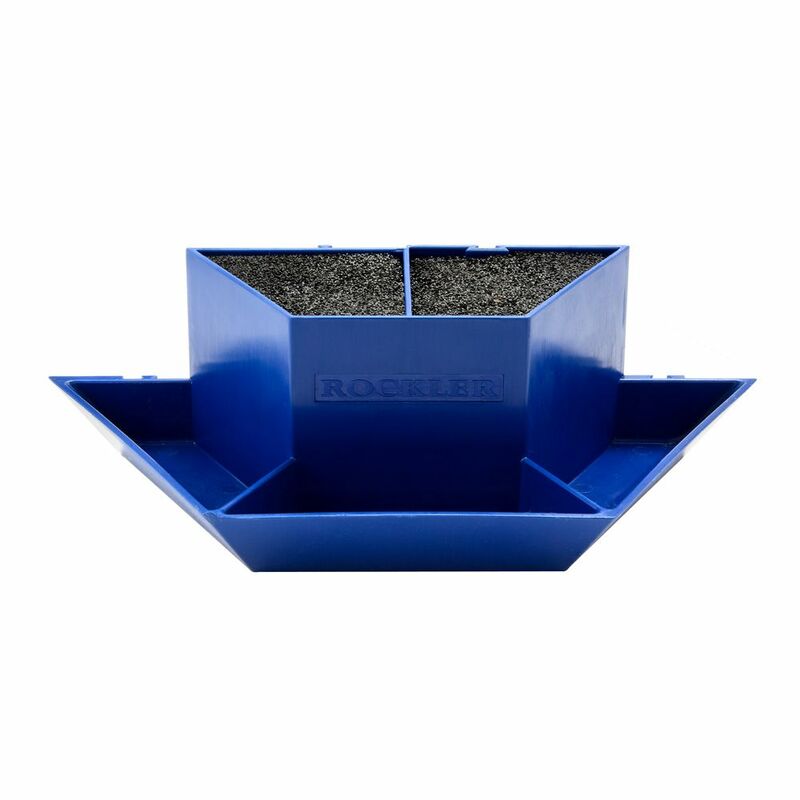 The two tall compartments are packed with flex-rod plastic bristles, which let you drop in tools, bits and blades with hardly a sideways glance. 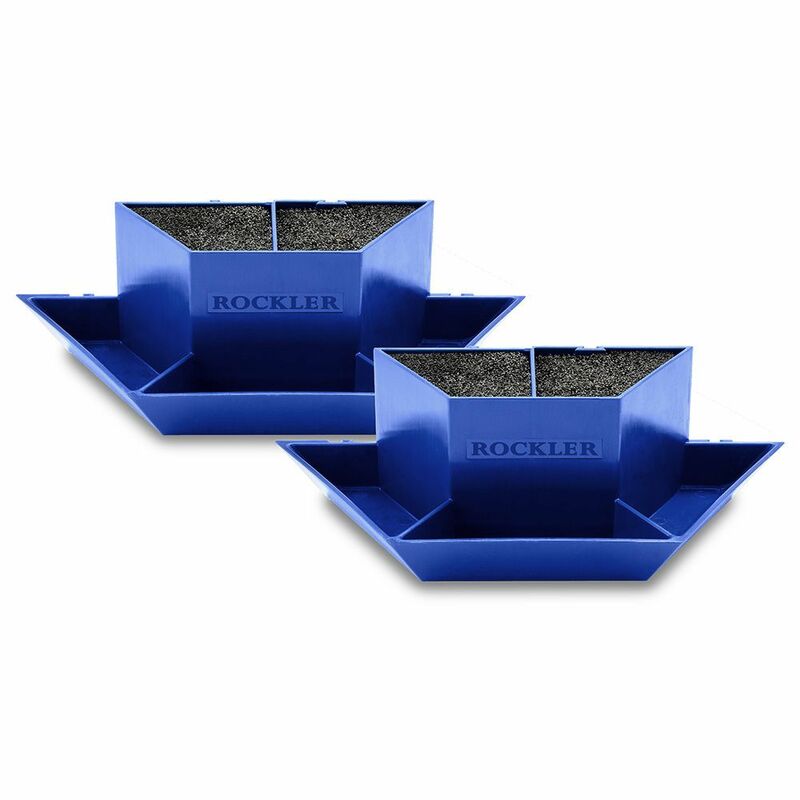 In the front row, three open trays feed you screws, nut and bolts as needed. 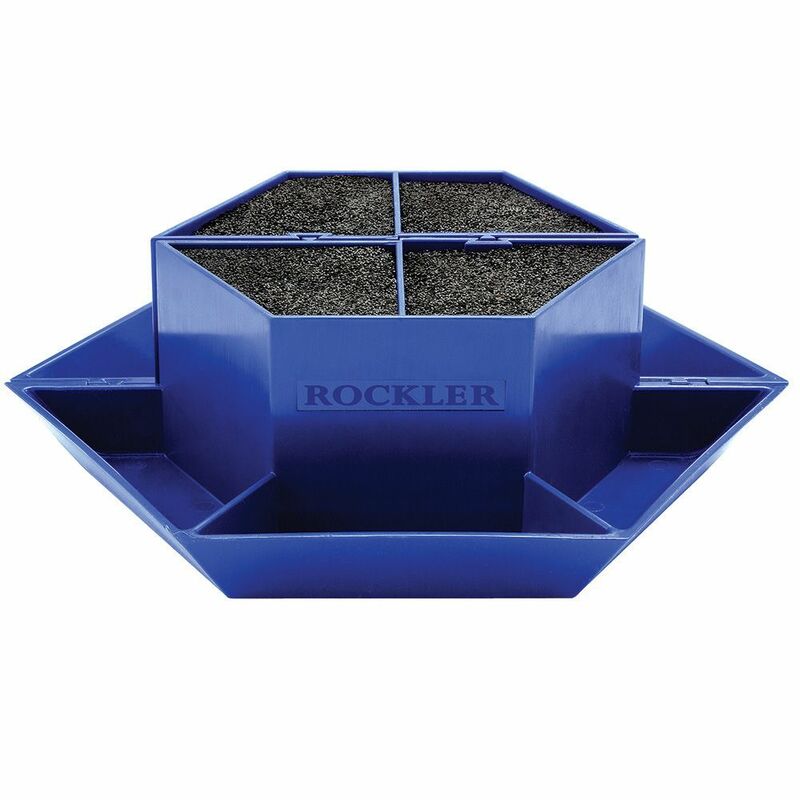 Beneath each open tray is a recess for adhering a rare earth magnet (#37554, sold separately), which helps to keep hardware from spilling. 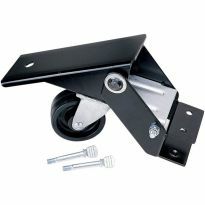 The tray can also be mounted to the wall with the two keyhole slots. To create a fully hexagonal 360 tray, two Shop Blocks can be joined back-to-back using the integral dovetailed tracks. This is a very useful item that holds pencils, knives, scissors, screwdrivers and punches firmly and leaves them within handy reach. The small compartments at the bottom pf the base holds small items like screws and washers. I like the fact that two can lock together to make a much larger shop block. Very useful and a clever concept. It was a gift for my son in law. Gave to him yesterday and he said it will work perfect! I use scalpels and exact knives a lot. Makes a great place put things like this so you don't accidentally stick (or worse) yourself. 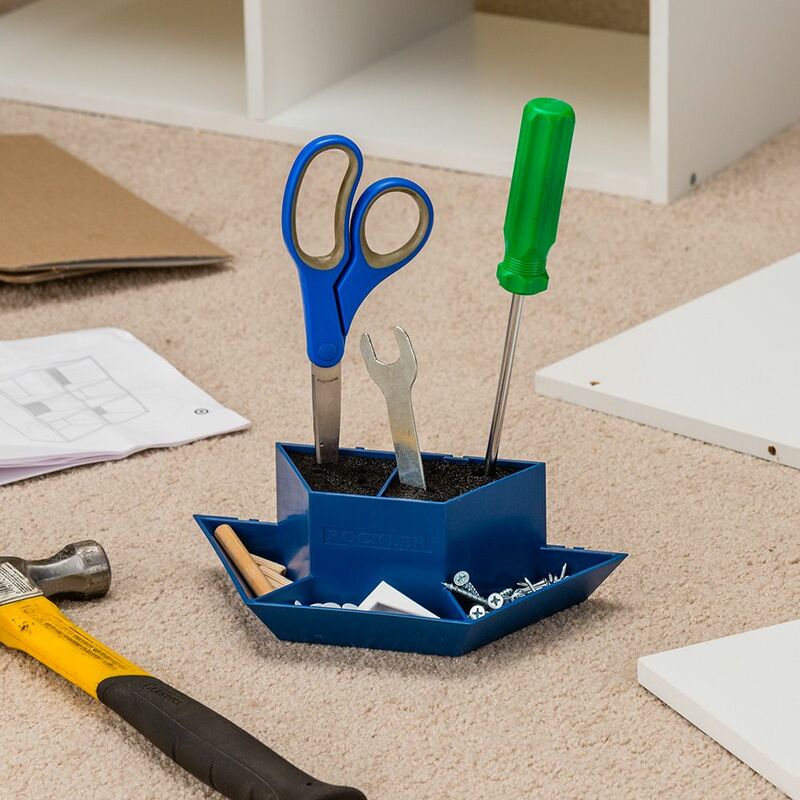 Small scissors, small screw drivers, anything like that that is likely to get lost or roll of the table. 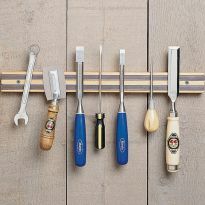 Great for small shop tools or for the ladies hobby tools as well. I have a double unit on my workbench and it is well stocked with all the little tools that are always in the way or lost. My daughter saw it a was very impressed and mentioned how handy it looked. I bought her one for Mothers Day and she was genuinely pleased. She didn't think I had picked up on her hint. I found it very helpful for putting my misc. drill bits, socket & extenders, etc. Then it's just grab and go to my project and then I can use the trays for whatever hardware I'm working with during assembly. The flex rods hold well and have more capacity than expected. Just keep adding, you can fit even more than the pictures show. 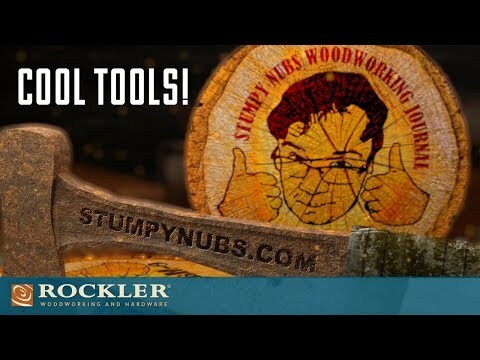 I like (purchase and use in store and on line) many of Rockler's products and praise them to others. They "missed the boat" on this one. A square shape would fit more places better and hold more than this "cute" shape. Also, the dove tail lock does not work well. The plastic rod idea is great, but the rods are so tightly packed and so small that anything bigger than a pencil or screwdriver does not fit in. 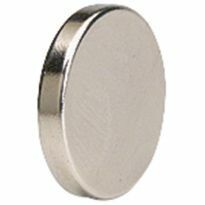 The magnet idea is good. I feel I wasted my money on this on ! Will be handy on the work bench to keep small items in. Will add a french cleat on the back and have useful storage. 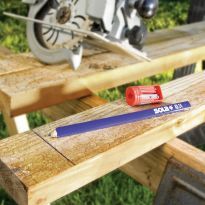 Looks like a great way to avoid misplacing small items while working on a project. Saw review in woodworkers journal. 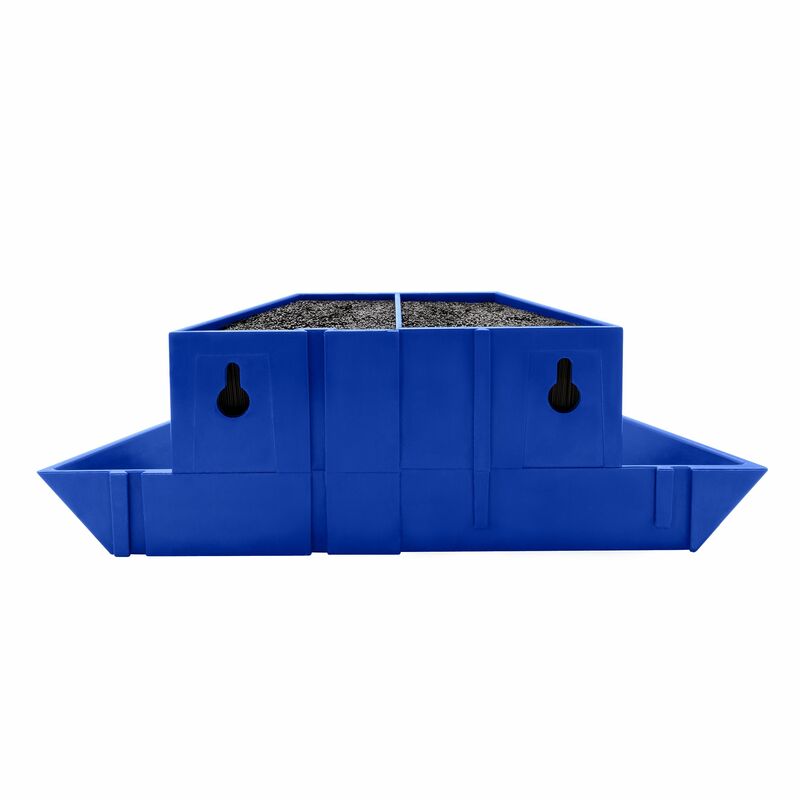 For more efficient storage for various small shop accessories. Very handy gadget for keeping my workbench organized. Got this out of curiosity. Looks useful if emptied between projects. Trying to find Christmas gift for husband. Don't think he has anything like this. Shop bench is always littered with pencils and leftover nails and screws. Saw this and it seemed like it might be something I needed. I'm at a loss here. 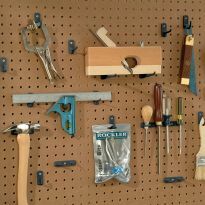 The box shows one hanging on pegboard. How would one go about making that happen? 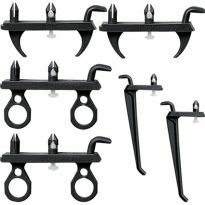 BEST ANSWER: There are slots on the back of the shop block that can be used with peg board hooks. 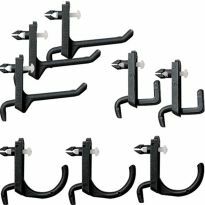 You should be able to get the peg board hooks at any local hardware store. 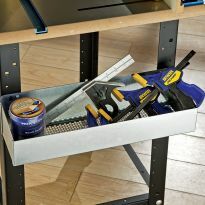 The shop blocks are great for ready storage for the project at hand! Answering my own question. 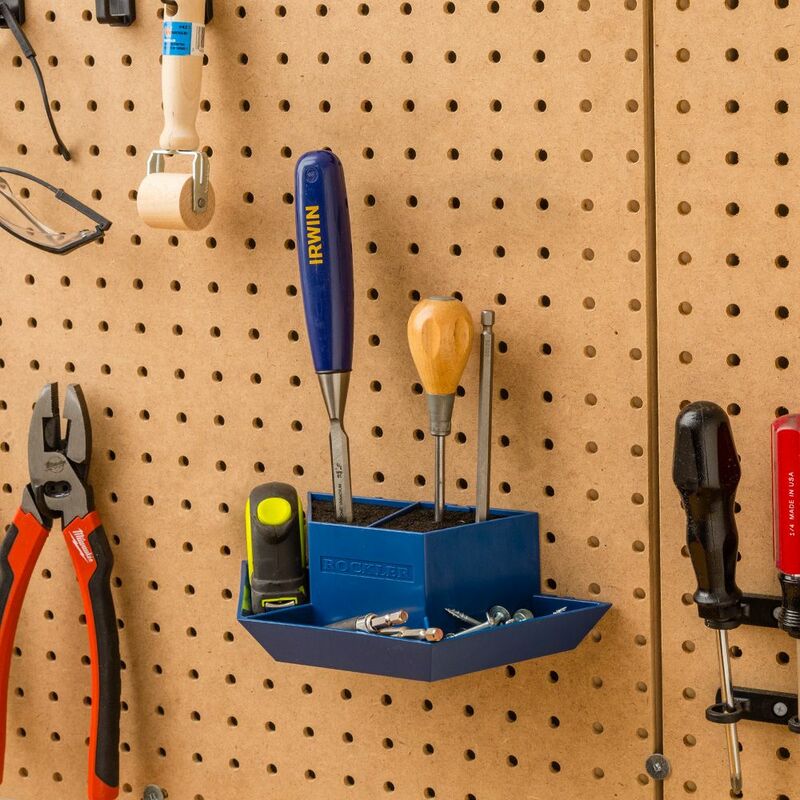 It turns out a wall anchor fits nicely through pegboard. A couple of those in the right spots did the trick.